I've not been posting for a couple of days as I was out of town as you can see above. I know it's hard to believe but actually I was there to work. But we had some fun as well as you can imagine! Well, Back to Life as Soul II Soul taught us in 1989. Nose: This Glentauchers is naturally coloured and its dark Chestnut colour leads me to assume that it matured in an Ex-Oloroso Cask. The Nose confirms this. At first I find Sherry, Orange, Dried Fruits, Dark Chocolate, Cocoa Powder, Malt, Tobacco, Vanilla, Toasted Cereals and Butter. After a while I also encounter some nice but rather quiet Fruity tones. Alternately I smell Pears, Peaches, Plums and Red Apples. Some Perfume as well and traces of Dried Herbs and Espresso. The Alcohol is strong of course but it's not too difficult to find your way around it. It's hard to believe this Single Malt only matured for 6 years. It seems to have been a well chosen Cask. The only reference to the Spirit's relative youth is this Yeasty Bread Dough tone that pops up every once in a while. I can't find any real surprises but on the Nose this Glentauchers is sufficiently solid. Taste: Lots of Sherry and Spices like Nutmeg, Cinnamon and Pepper. At this point the Alcohol gets quite strong. I also find Dried Fruits, Oak, Treacle, Dried Herbs, Malt, Dried Banana and Red Apple. Finish: Middle-Long and Sweet with Fruit Cake, Raisins, Dried Banana Bars and Oloroso. Spices like Nutmeg, Pepper and Cinnamon balance the Sweetness. I also find light Oak and Dark Chocolate tones. The Finish is quite smooth and that's remarkable given the high ABV. I added a little Water and Floral, Malty and Perfume-like tones take over while the Sherry retreats. On the Palate and in the Finish the Spices are reinforced while some Licorice and Menthol pop up. I prefer to sip it neat despite the high ABV as the character of the Spirit is better preserved that way. General Remarks: I can't tell you a lot about this limited expression I'm afraid. 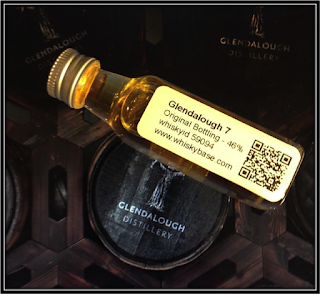 It was distilled in 2006 and bottled in 2012 exclusively for the Whisky Partner Cask Strength Collection. It's Naturally Coloured and Non-Chillfiltered. Some 360 bottles were commercialized apparently, roughly at 70 US Dollars a bottle. The Glentauchers Distillery was founded in 1897 by James Buchanan and W.P. Lowrie. Today it is owned by Chivas (Pernod-Ricard). At this moment, almost all of the spirit is used in Blends like Chivas and, especially, Ballantine's. 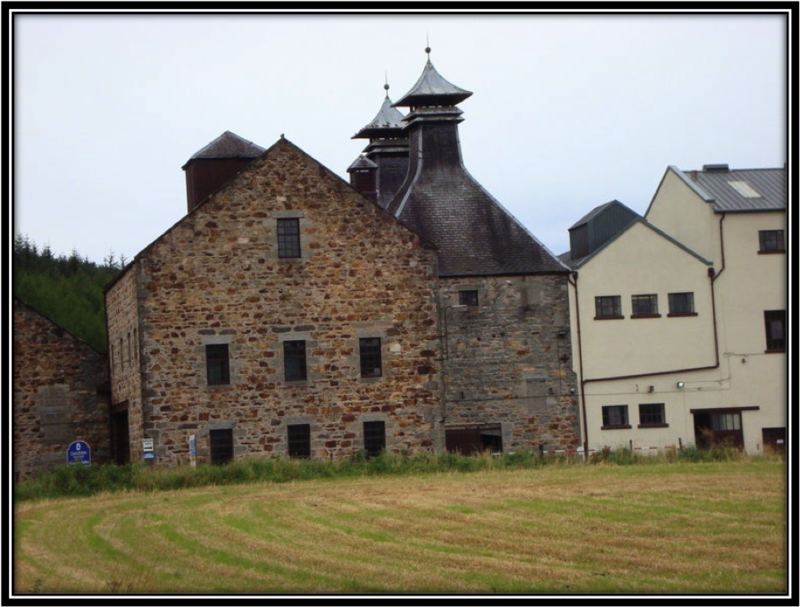 As far as I know, no Distillery Bottlings are available at the moment. Conclusion: I find it difficult to determine the final note on this Glentauchers. I like the Nose and I find it sufficiently interesting for a 6 Year old. In a blind tasting I would have easily guessed it to be between 10 and 12 years. It's on the Palate where I get a bit confused. 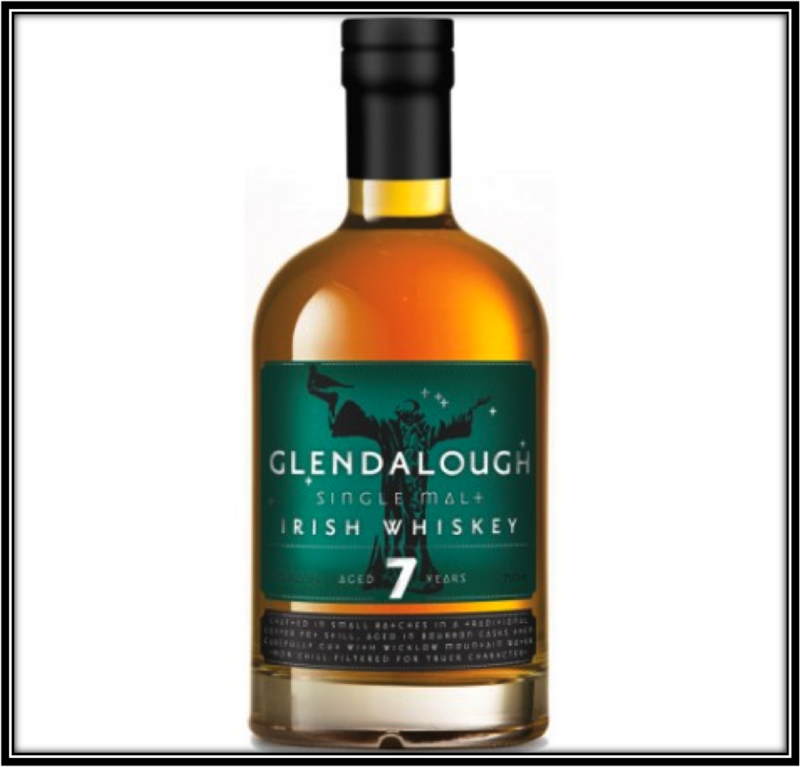 Why should a 6 Year Old Single Malt have an ABV of 61%? What's there to hide if anything? Because the Alcohol really starts to dominate the other Flavours. And when you add Water, the Spirit gets a bit off-balance. The Finish is remarkably smooth again despite the high ABV. This is my first Gentauchers so I don't have any references. But I believe this Single Malt would have benefited from a lower ABV of say around 46%. As it is I would not consider drinking this high ABV Glentauchers on a daily basis although I enjoyed the Tasting Experiment. P.S: "Cherry Oh Baby" was a big Hit single for UB 40 in 1984! (You’re the) Devil in Disguise! Nose: Very Elegant with Lovely Soft Peat, Fine Oak, Buttered Toast and Apricot Marmalade, Apple Pie, Peach Pastry, Dried Fruits, Custard, Toffee, light Citrus Peel, Malt, Dried Herbs, a precise Cardamom note and a sprinkle of Salt. The Alcohol is nicely integrated. Well done! Palate: It's nice but it doesn't keep all the promises of the Nose. 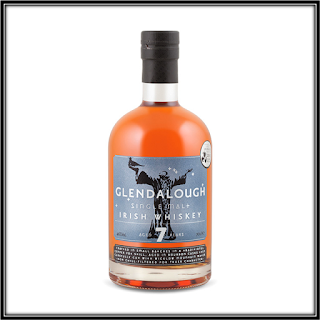 It's Sweet and Spicy at the same time with Apples, Orange flavoured Tea, Apricot, Lemon Zest, Oak, Mint, Pepper, Nutmeg, Cardamom, Aniseed, very light Peat and a hint of Tobacco Leaves. Finish: Sweet and Spicy with Peach, Apricot, Vanilla, Oak, Pepper, Nutmeg, Mint, Cardamom and a hint of Espresso. 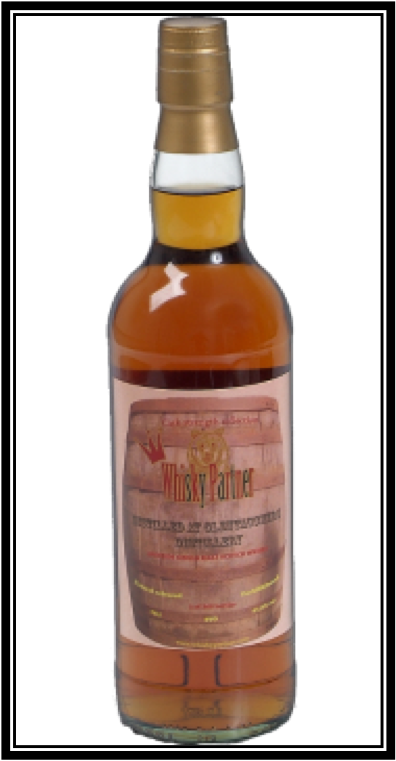 With a bit of Water the Nose gets a little more Soft Peat, Fruit, Honey and Custard. Extra Spices and a hint of Bourbon on the Palate. This Arran invites you to play with a couple of drops of Water at the time. 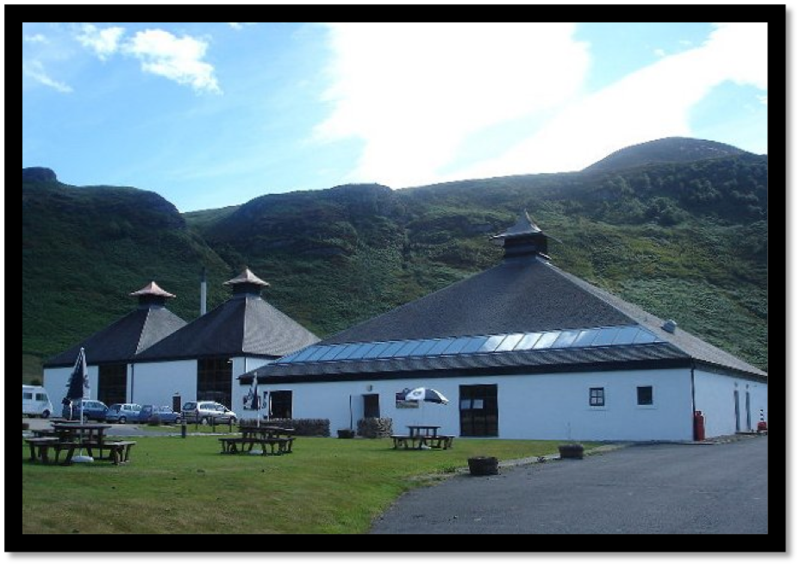 General Remarks: Arran is a very young distillery and only started selling Single Malts in 1995. It's located on the Isle of Arran, off the Scottish West Coast. 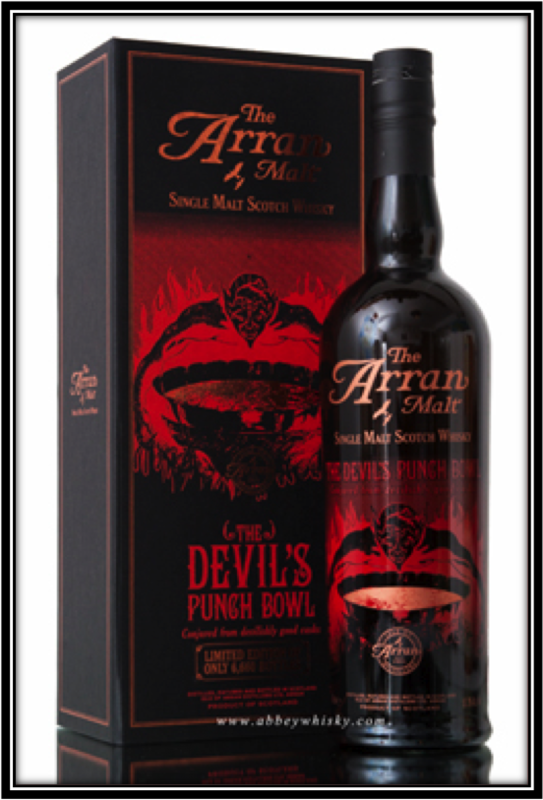 The Devil's Punch Bowl is named after a terrific location on the Isle of Arran where a waterfall plunges in a pool in the form of a cauldron. 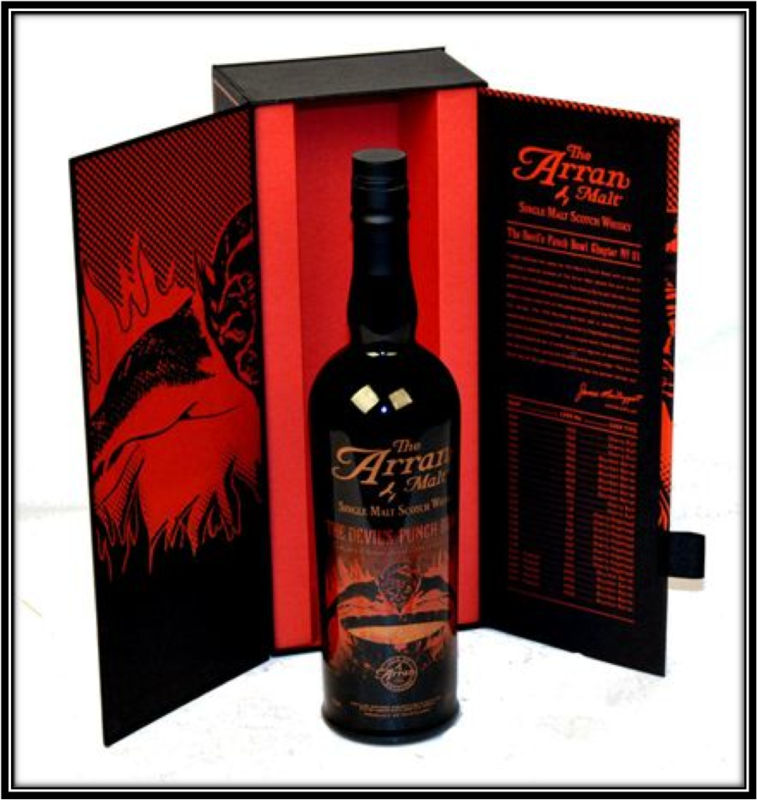 This limited edition was released in 2012 and prepared with 24 Ex-Bourbon and Ex-Sherry Casks that were selected and vatted by Arran Master Distiller James MacTaggart. For the first time both young peated - and mature unpeated Arran spirit was used to produce this Single Malt that is naturally coloured and bottled at Cask Strength. Only 6.660 bottles were commercialised. 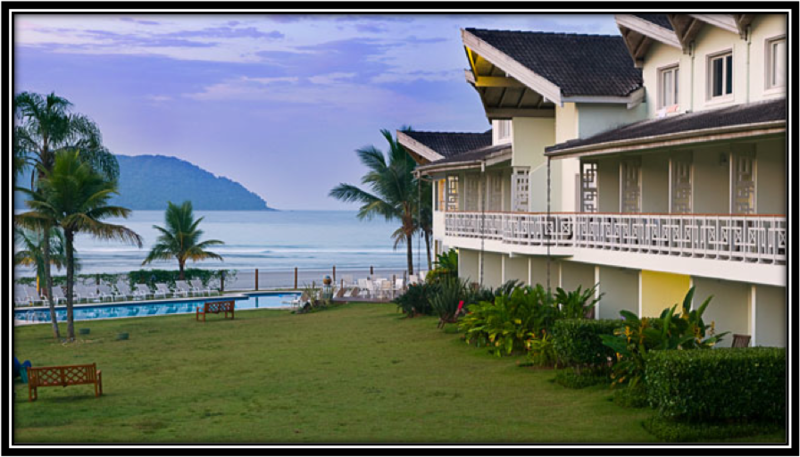 Upon its release it was sold at around 125 US Dollars but today you might need to add another 100 US Dollars to that! Conclusion: A very nice Single Malt from this young distillery. It's certainly not a Devil on the Nose. On the contrary! I find it Elegant with Nice Fruit, Fresh Pastry, the Softest of Peat and a remarkable Cardamom note. The Nose is the beautiful Waterfall. The Palate and the Finish tell a slightly different story all together. Here I can visualise a Cauldron with its devilish mixture of Pepper, Nutmeg, Aniseed, Cardamom, Mint and Tobacco. Still, I would have loved to see a little more balance here. But this Arran honours its name and gives us an idea of what goodies we can expect from them in the future!